The Cross of George came into being during the Middle Ages, and was a red cross on white, linked to St George. St George famously slayed a dragon and rescued a princess from being its lunch! Though the story of St George has him as a Roman officer who converted to Christianity and saved many Christians from persecution in Rome before being put to death himself. During the Crusades, many English knights had begun to use the red cross on white to identify themselves, only for the Pope to decree that French knights use the red cross on white, English, a white cross on red, and Italian knights use yellow on white. The English knights complained because they had already begun to use the red cross, so in a meeting between Henry II of England, and Philip II of France in 1188, they decided to swap the symbols round. However, later, the French switched from white cross on red, to white cross on blue. A design in use on Quebec's flag today. 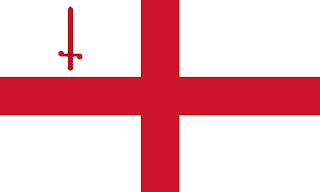 Another theory is that England and the City of London adopted the flag in 1190, from the flag of the Italian city of Genoa in order to elicit protection from the powerful Genoese navy from pirates in the Mediterranean. However, this theory is not accurate as the English had adopted the symbol 2 years prior, and the King of France had recognised it as a symbol of England. The cross continued to be used to represent English forces, including during the battles for Wales in 1275, and then later by the Royalist forces at the Battle of Evesham in 1265 against the rebel Barons who used a white cross. By the 1300's, the Cross of St George had effectively become the national flag of England, and its status was assured in the 16th Century, during the Reformation, when many of the other banners in use from other saints, and from Barons where abandoned. 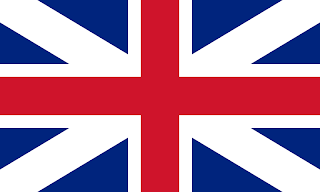 Then, with the Union of the Crowns in 1606, the English flag was incorporated into the new "British" flag along with the saltire of St Andrew of Scotland. 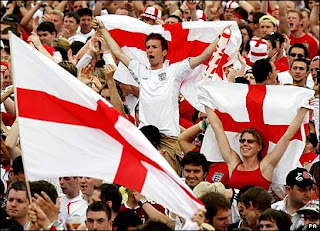 However, the flag has always been the flag of England, even after being superceded by the Union Jack. And has been used in many ways. 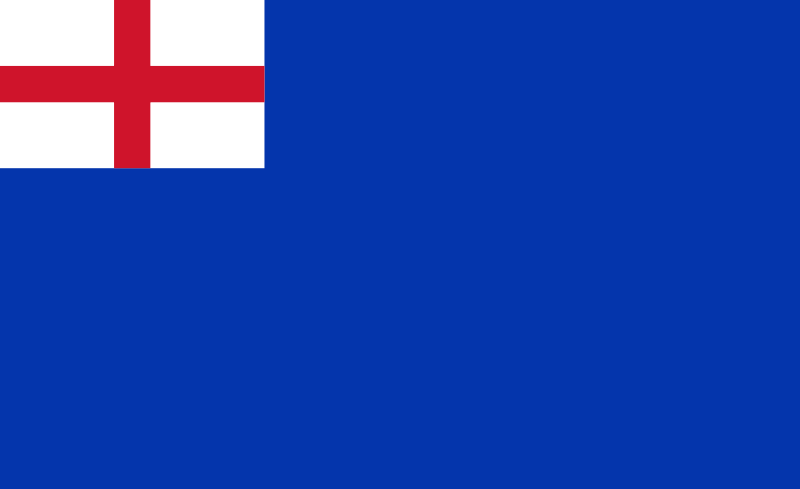 For example, at sea, the English navy, to differentiate from the Genoese navy, took to using red, white, or blue fields, charged in the upper hoist canton with the flag of England. 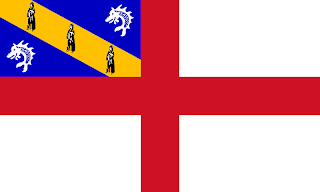 The Cross of St George is in use for many other flags around the world. The City of London adopted the cross about the same time as its use for English forces during the Crusades. However, to differentiate, they added a red sword to the upper hoist canton. 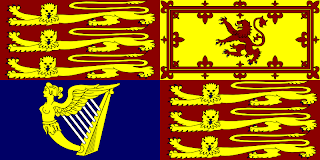 It is also used as the Royal Nay Ensign, with the upper hoist canton featuring the Union Jack. 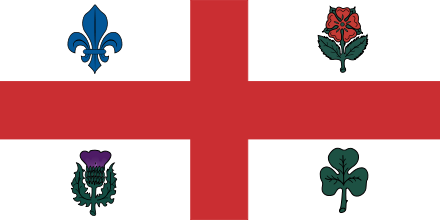 It is also the national flag of Georgia, in honour of the legend that states St George heralds from the lands currently the nation of Georgia. Though to ensure it is different to England, each canton features a smaller red crosses. The City of Montreal also has the Cross of St George, but this time, each canton features a French fleur di ly, English red rose, Scottish thistle, and Irish shamrock. 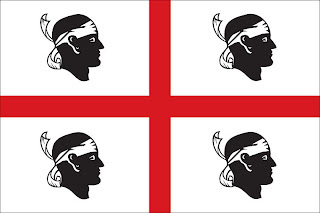 In Italy, it is used as the flag for Genoa, as well as the flag for Sardinia. 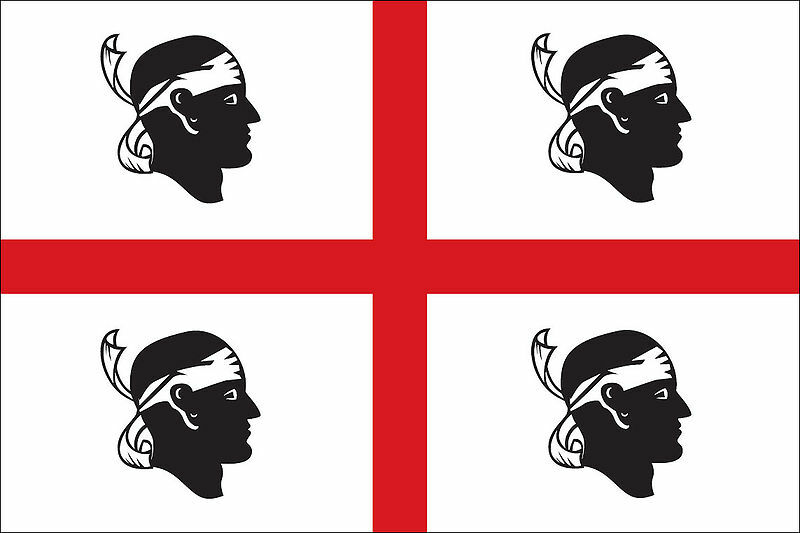 Though the flag for Sardinia features a "severed Moors head" in each canton. The Channel Islands of Alderney, Guernsey, Sark, and Herm all use the Cross of St George. Guernsey takes the red cross, and charges it with a smaller yellow cross in the centre. Alderney charges the cross with the Alderney coat of arms of a yellow lion rampant on a green field, surrounded by a yellow ring. 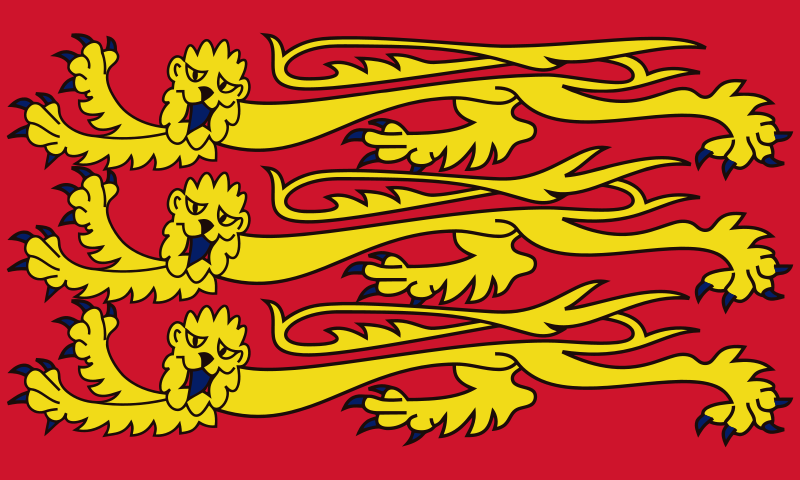 the small island of Sark places a red square in the upper hoist canton, which stretches to the bottom of the horizontal bar, and placed upon it are 2 yellow lions taken from the Royal standard of England. The tiny island of Herm places a rectangular version of the coat of arms in the upper hoist canton. A blue field with a yellow diagonal bar. a white fish occupies each of the blue fields, and 3 monks are on the yellow diagonal line. Also, more controversial, it is used by some as the flag for Northern Ireland. A St George Cross charged with the red hand of Ulster placed inside a 6 point star topped by a crown. This flag is in no way official, and really only used by the Unionist community. 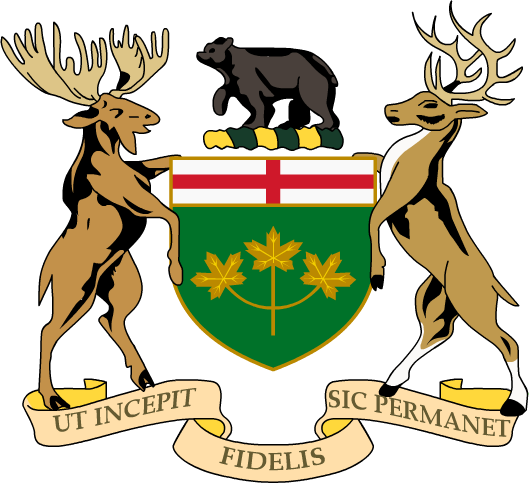 The Cross itself also features in many coats of arms around the world, such as in the coat of arms for many of the Canadian provinces. Like Ontario, and Alberta. Another flag that has seen a modest revival recently, spurred by the feeling of the English being left behind as the rest of the UK sees the benefits of devolution, and England being governed by a Scot whose constituents are Scottish, and the purse strings being controlled by another Scot! This flag, reputed to have been in use since the time of the Angles and Saxons was a white dragon on a red field. 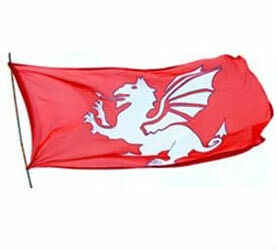 Another flag in use was the Royal Standard of the Kings of England. 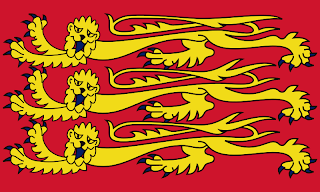 Originally starting out as a single gold crowned lion on a red field, as successive kings wanted to show how brave they where, an extra lion was added (See flag of Sark) and then, by the time of Richard the Lionheart, it settled on three lions. 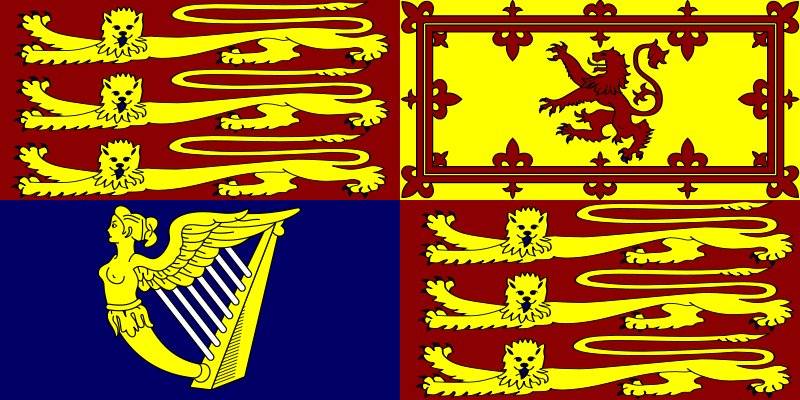 Following the Act of Union the English Standard was dropped, and incorporated into the new coat of arms for Britain. Featuring in the coats of arms for all member of the Royal family, and making up the first and fourth quarters of Queen Elizabeth's standard. The other quarters featuring the red lion of Scotland on yellow, and the yellow Irish harp on blue. 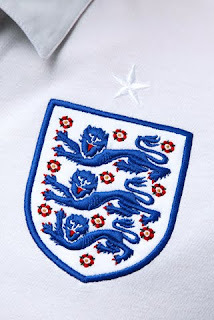 The old standard has been the inspiration for many emblems in use today representing England in Sports, such as the England football team. As well as the new logo for the England hockey team. Except, unlike the England football logo, and Cricket logo which are blue, the Hockey logo keeps to the traditional colours of gold and red. And for the England Cricket team! 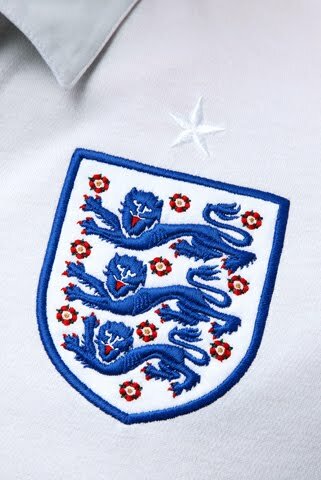 The three lions also feature or the England Ice Hockey team, formed to compete in low level international competitions, and at youth level. Though for major international events The home nations combine to play as Great Britain. Anyway. Back to the Cross of St George. 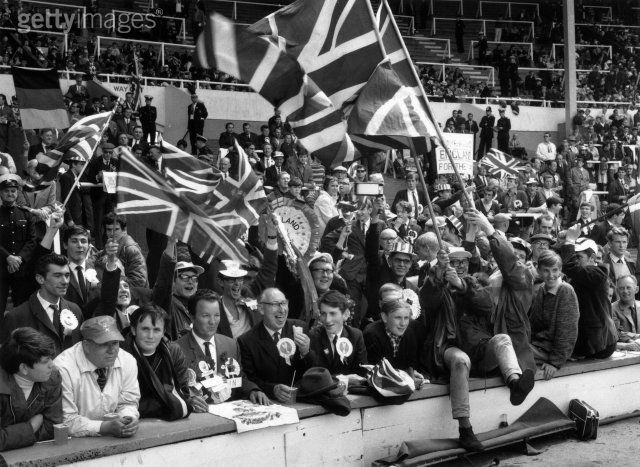 Its use was discouraged for a very long time, with England fans during the World Cup of 1966 using the Union Jack. 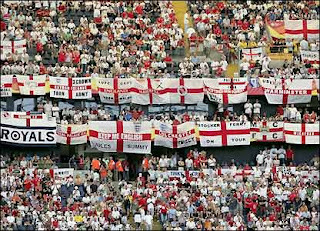 However, in the run up to Euro 96 in England, the Cross of St George began to make a resurgence, a resurgence powered by the governments efforts to devolve power to Scotland and Wales and fuelling a feeling of resentment in England. 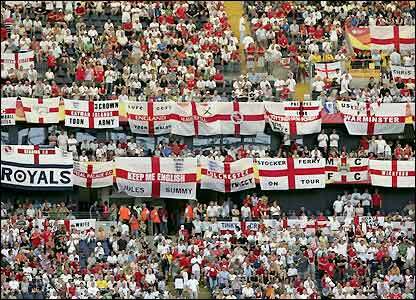 Whilst there is still large doubts over the flags use, given its use by right wing groups, and the likes of the BNP causing unease amongst some in the minority communities, its growth in usage is not just limited to the white majority. 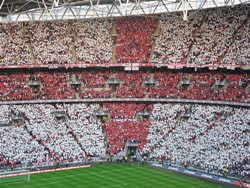 The flag now crops up at many sporting events, especially football, with Wembley being adorned in red and white, as well as away stadia being swamped. Wembley itself usually features a fan-made Flag of St George before every game! 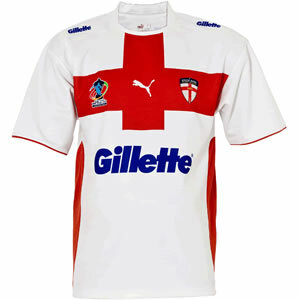 The flag is also incorporated into the emblem for the Rugby Football League, as well as into the shirt of the England national team for Rugby League. 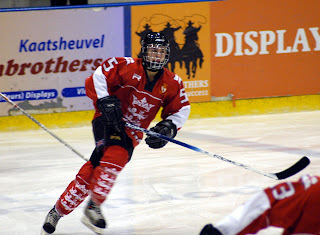 It is also used by the EIHA, the organisation charged with looking after Ice Hockey in England. 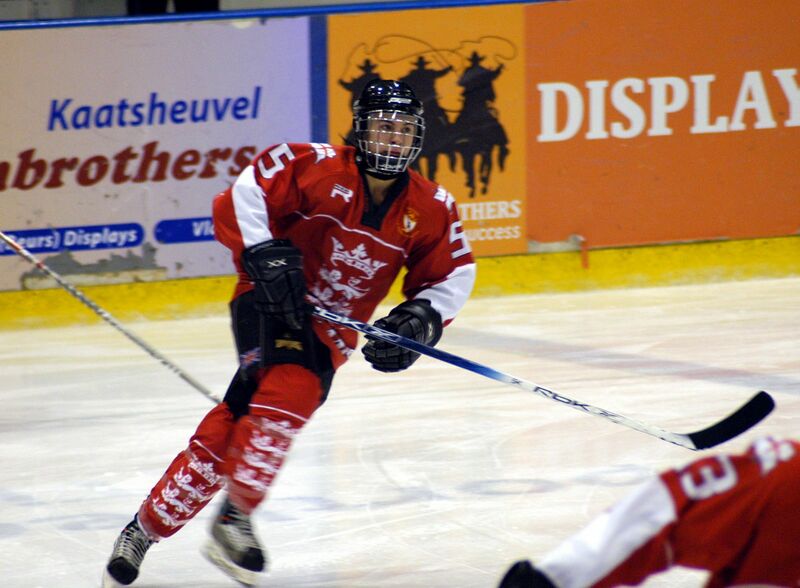 However, it reports to Ice Hockey UK, the overall body for Ice Hockey in Britain. With devolution causing resentment, the flag is seeing a resurgence as towns and villages start to look at creating a feeling of Englishness, and pursuing celebrations for St Georges Day. A day many want to celebrate, but some feel nervous about due to "racist undertones." An opinion I reject. 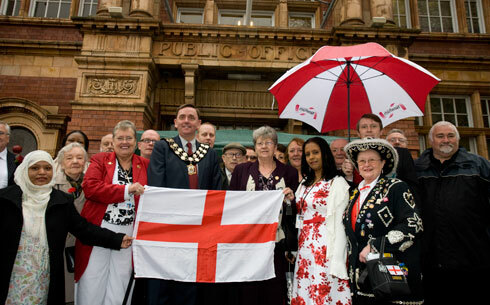 After all, the red cross has been the flag of England for nearly a thousand years, and represents the island. The people in it make up the English . Whatever their colour! 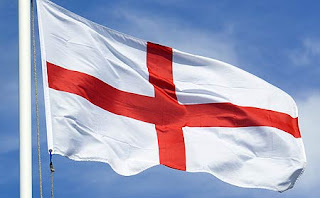 It is hoped that one day, England will be treated less as a cash-cow for the British government, and given more equal treatment within the UK, and the flag itself will be completely accepted and celebrated on St Georges Day as a genuine day of Englishness, rather than spurned as a sign of those fringe wackos who tar its image!